You can drag and drop the students in your course to create a seating chart for your classroom. Once you have created your seating chart, learn how to take roll call in your course. Note: Currently Roll Call does not support a seating chart print option. However, you can always print the screen image from your browser. To create a seating chart for your class, click the Edit Seating Chart tab. The first time you edit the seating chart, all your students' names will appear in the left column. Drag your students onto the grid and arrange them as desired . Remove students from the seating chart by dragging them to the green box in the left hand column . You can rearrange the placement of students in the grid as necessary. 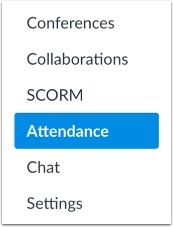 Previous Topic:How do I use the Roll Call Attendance tool in a course? Next Topic:How do I edit the Roll Call Attendance assignment? Table of Contents > Attendance (Roll Call) > How do I create a roll call seating chart using the Attendance tool? Re: Once a seating chart is created, is there a way to print the chart?